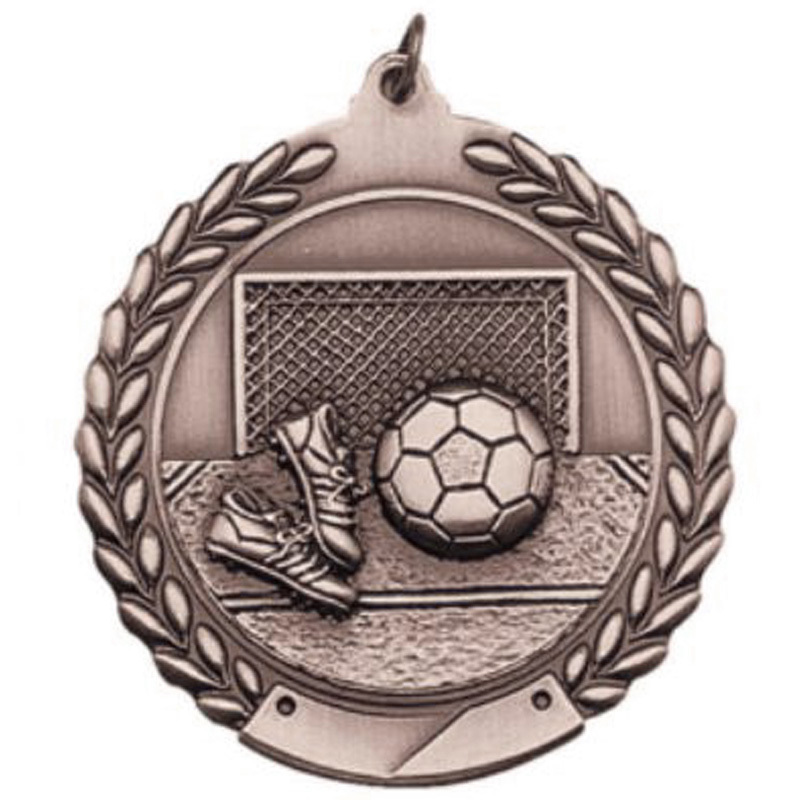 Item Description: 2-3/4 inch 3 dimensional die cast in satin antique brass, silver or bronze finish medal with Soccer subject. Engraving/Imprinting Option: The medal can be engraved or imprinted on the backside. 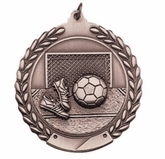 NOTE: Medal price below DO NOT include ribbon, assembly charge, engraving or imprinting. 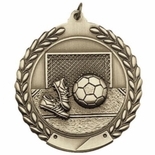 See add-ons option below for additional pricing .